Founded on December 1, 2011, Lamia Trial Lawyers aims to provide you the service and support you need to win your case. With over 27 years of experience in Construction, Business and Environmental Law, Lamia Trial Lawyers, P.A. has planted its roots firmly in Tallahassee, Florida. The location was decided as the perfect central proximity to the Gulf Coast and surrounding areas. We work to solve legal issues through aggressive, professional representation with an eye towards protecting the interests of our clients, all at an affordable cost. At this stage, we will clearly review all available courses of action and recommendations for moving forward. We execute with dedication, preparedness and excellence during every case. We focus on the details, the law and the needs of the client. 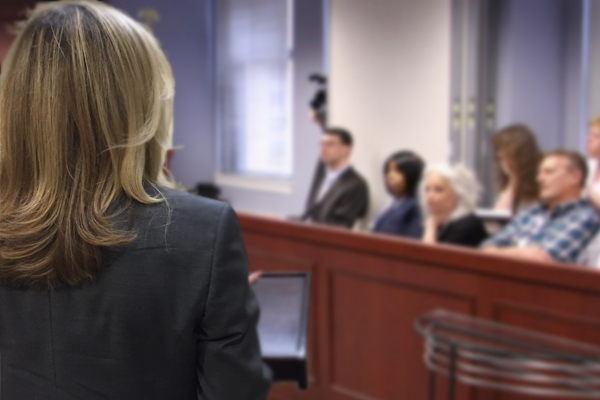 We are not afraid of the courtroom – in fact, we embrace the process of traditional litigation. We will never back down from this option if it is a necessary one. However, in the interest of providing cost effective and time sensitive solutions for our clients, we work to mediate cases and provide alternative avenues when available.